The Oceanic Steam Navigation Company, more familiarly known as the White Star Line, built transatlantic ships in England from 1845 to 1934. 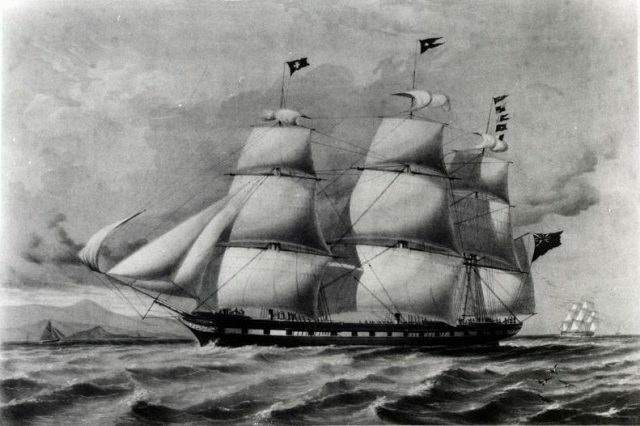 In 1854, one of their ships, the largest ship in the world at the time, sailed from Liverpool heading for Australia on its maiden voyage carrying cargo and 652 souls. The ship sank about five miles from Dublin Bay after running aground, and 380 people were lost. Wait! Wasn’t the Titanic going to New York with over 1,000 people on board? While the story is similar, this was the RMS Tayleur, built in 1853, almost 60 years before the Titanic. 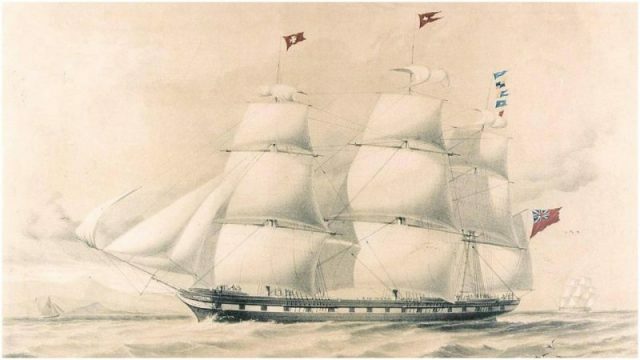 According to wrecksite.eu, the Tayleur was a fully rigged iron sailing ship with three decks, 230 feet long with a water displacement of 1,750 tons. It carried 4,000 tons of cargo, 71 crew members and 650 passengers. Most of the passengers were young families who had brought their life savings to start a new life in Australia. 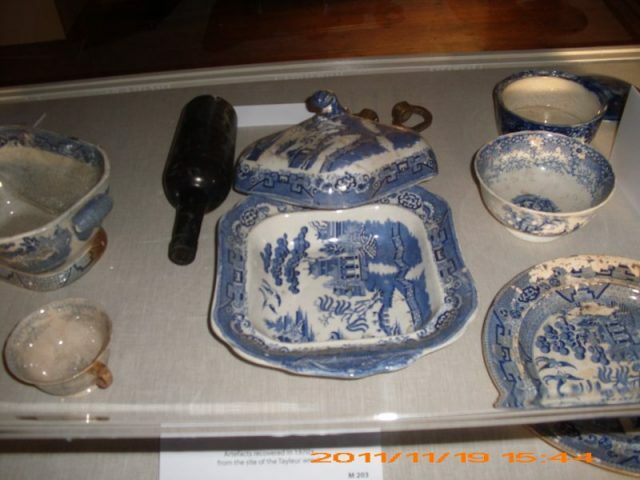 The captain was 27-year-old John Noble, who had been sailing for most of his life. The Tayleur was the pride of the White Star Line as it was, at the time, the largest and fastest merchant ship to sail British waters. The problems with the ship that ultimately lead to her demise were that the three sail masts were too far apart, which unbalanced the ship. The rudder was much too small for a ship of that size causing difficulty in changing direction, and, finally, the three compasses on board didn’t work properly because of the iron hull. 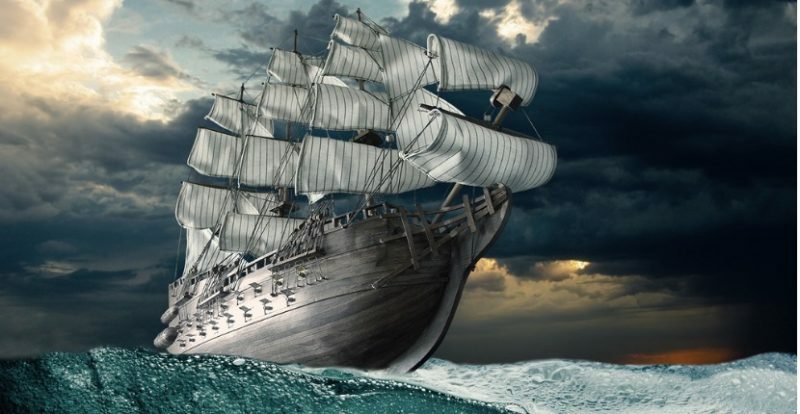 The crew had only 15 men who were experienced sailors and many could not speak English. The captain showed concern for the problems, but the White Star Line pushed him to set sail for public relations purposes. With misgivings, Noble set sail on January 19, 1854, headed for Melbourne, Australia. They soon found themselves in the Irish Sea battling a storm with gale force winds and heavy fog. With no working compasses, Noble thought he was traveling south but was, in fact, traveling west toward Ireland. The crew didn’t know how to pull in the sails, and passengers with experience had to help. The new ropes kept getting stuck, and one sail had been ripped. Noble got no sleep that night worrying about the storm and stayed on deck. The experienced passengers tried to tell Noble that they thought the ship was heading west, but he refused to listen to them. 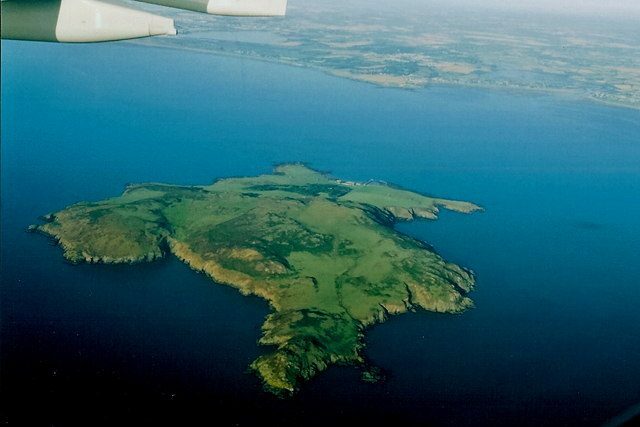 On the morning of January 21st, one of the sailors had spotted land and called out with the ship less than a mile from the black rocks on Lambay Island, a few miles from Dublin Bay. Although the captain tried to turn the ship, the small rudder was useless. He called for the two anchors to be dropped, but the chains broke. As a Hail Mary, Noble attempted to bring the ship onto the rocks sideways to allow passengers to get off onto the rocks. The strong waves pushed the ship in and out, and it struck the rocks multiple times until it started to sink. There were not enough lifeboats on board, and, even if there were, they would not have been useful in the stormy seas. The crew panicked and were more concerned with saving themselves than helping passengers. Many passengers rushed up on deck and were swept off the ship by the high waves. Most of those that attempted to jump onto the rocks were killed when they landed. Several attempts were made to fashion a type of bridge to the rocks, but so many people trying to get on at one time caused every effort to fail, dropping people into the sea. Men pushed women and children out of the way to save themselves. Soon the waves that washed onto shore were full of dead bodies mutilated by hitting the rocks again and again, many of them children. Noble was the last to leave the ship when he was waist deep in water. 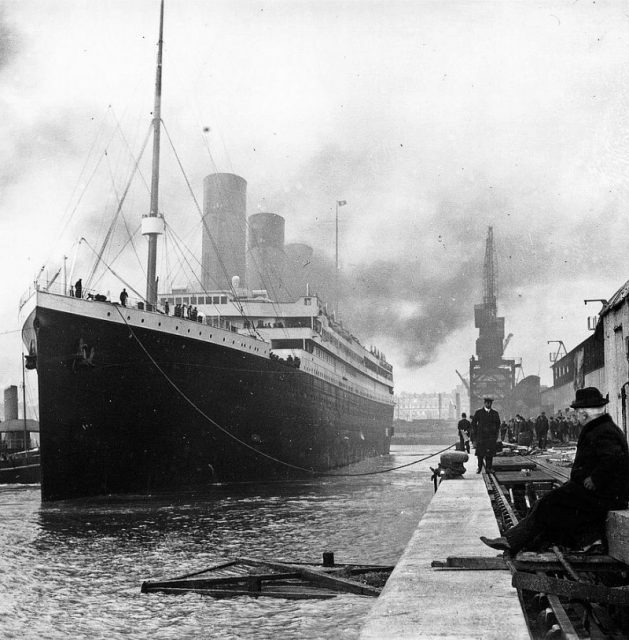 The inquiries that followed attempted to blame the captain, just as they did with the Titanic. The History Vault tells us, not only had Noble gone without sleep for two days because of the incompetence of his crew, but, before the first launch, he had fallen 25 feet into the hold, most probably giving him a traumatic brain injury causing questionable decisions. 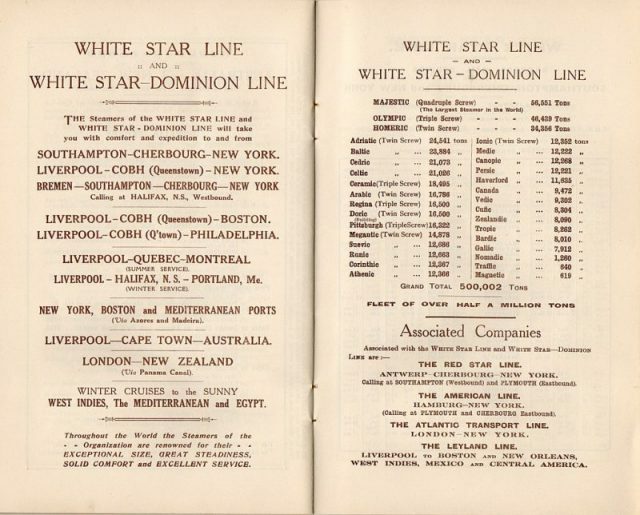 The White Star Line was eventually blamed for equipping the ship with faulty instruments and rushing the departure date. Author Gill Hoffs has done extensive research on the wreck and published a book, RMS Tayleur: The Lost Story of the ‘Victorian Titanic’ in 2015. She goes into extensive detail regarding the shipwreck, the aftermath, a cover up, and how it affected the White Star Line and British society.